Once again winter has reared its ugly, windy head here in southwest Manitoba, and the kids are home from school. By noon we are all going a little stir crazy! Lucky for me I picked the mail up the day before and my sanity is being saved by a wonderful new cookbook Brown Eggs and Jam Jars by Aimée Wimbush-Bourque. So I opened up the book and found a recipe we could make right away! 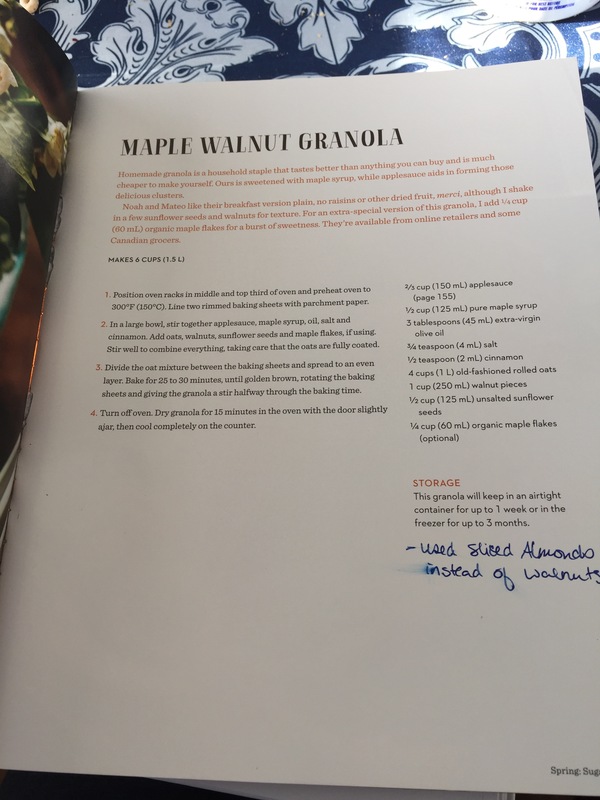 Maple Walnut Granola! Boom! Let’s do this! 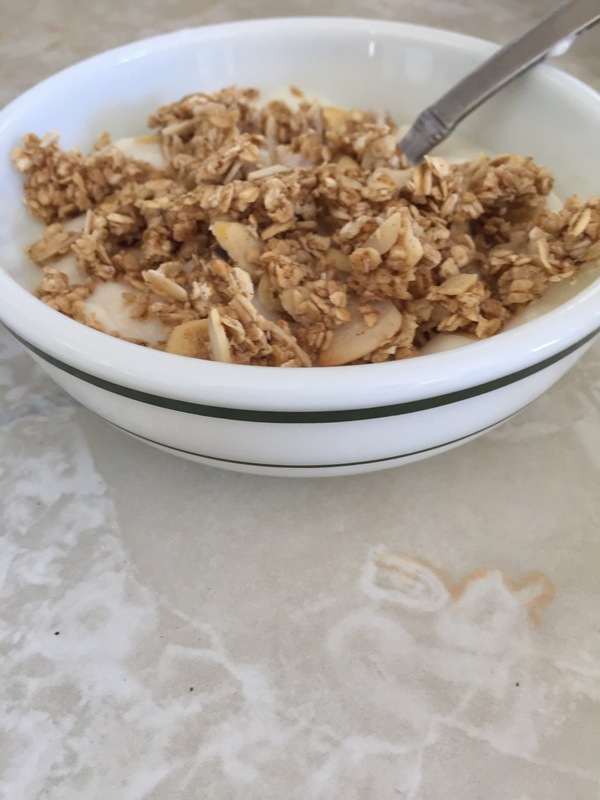 My kids love yogurt and I refuse to buy granola from the store when I know I can make it at home! BUT we are snowed in so some modifications were made – we changed it to Maple Almond Granola! And let the notes on the page begin!